Ho modellato per superfici l’orologio Braun BN0021 utilizzando Autodesk Alias e facendo i rendering con Keyshot 5. 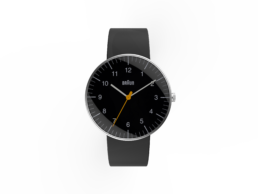 Surface modeling with Autodesk Alias of the Braun BN0021 watch. Rendering done in Keyshot 5.